Las Vegas, January 9, 2019 – Exhibiting at the Las Vegas Consumer Electronics Show, Savoir-faire Linux, a Quebec-based consulting firm for more than 20 years and an expert in the free software industry in Canada, launches Jami, the universal and autonomous communication application. Aimed at the general public as well as professionals, Jami provides all its users a universal communication tool, autonomous, free, secure and built on a distributed architecture thus requiring no authority or central server to function. According to the Office of the Privacy Commissioner of Canada, in May 2018, while 85% of Canadians said that reporting on privacy breaches influenced their willingness to disclose their personal information, it is surprising to note a drop in the number of Canadian companies concerned by the question: “This decrease can be explained in particular by the lack of concrete, available and simple solutions for businesses. We have worked to make a solution that respects users’ liberties and privacy by integrating advanced technologies such as OpenDHT and Blockchain Ethereum, “says Christophe Villemer, Executive Vice-President of Savoir-faire Linux. Jami is the evolution of the GNU / Ring project, which has become known as a high priority project of the Free Software Foundation, responding to the challenges of privacy on the Internet. Developed by Savoir-faire Linux, Jami takes advantage of an active development community thanks to the support of young Google Summer of Code developers as well as research partnerships with Polytechnique Montréal and the Université du Québec à Montréal. “While the preservation of privacy on the Internet has been and still is a topic of major importance in the communications industry in 2018 and 2019, we are seeing at CES more and more technologies that should be of concern or should at least alert users to this issue. Jami foreshadows the Internet of the 21st century. An internet where the creation of value is no longer captured by some multinationals but is returned to its users. An internet of citizens, businesses and communities. “says Cyrille Béraud, President. In addition to relying on a distributed architecture that does not use any third-party servers, Jami relies on standard secure protocols and end-to-encryption, preventing the decryption of communications over the network and thus providing a high level of security and privacy. Jami’s technological capabilities can be extended to broader industrial contexts such as connected industrial systems or for personalized communication needs (MedTech, LegalTech, Smart Mobility, etc.). Savoir-faire Linux Inc. is a specialist and leader in open source software engineering since 1999. It has offices in Quebec and France. Its product engineering division helps industrialists and startups in the development and industrialization of their embedded products and solutions in the aerospace, medical, telecommunications, home automation and energy sectors. 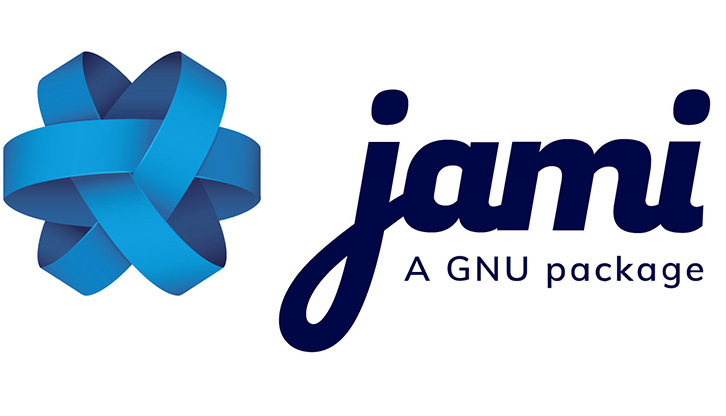 After several years of R & D, Savoir-faire Linux has developed the GNU / Ring free software that was officially launched under the name Jami during CES 2019. Jami is a universal and distributed communication platform respecting the liberties and the privacy of its users in incorporating advanced technologies such as OpenDHT and Blockchain Ethereum. Jami can be integrated to meet many use cases requiring high security and a distributed infrastructure. 27 Jan. 2017 Reading from 5 minutes.